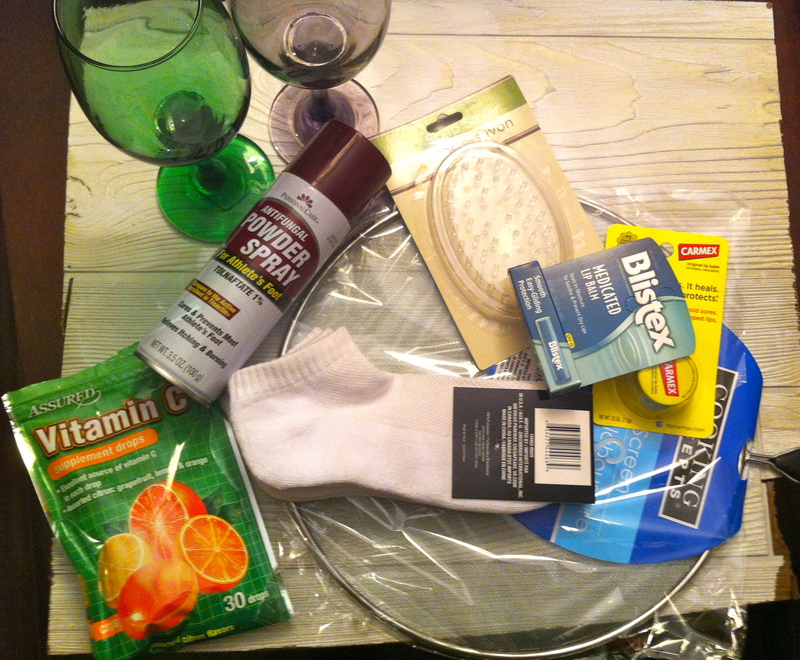 It was a simple trip, only 9 items: 2 glasses of wine, a bottle of foot powder spray, a plastic soap saver dish, Blistex, Carmex, Vitamin C supplements, a splatter guard, and a two pack of ankle socks. I left the dollar store feeling happy at the deals I got. It wasn’t until I got home that I felt a plagued by whether or not I was duped into a purchase because “Everything’s a Dollar!” so it must be a great deal, right? 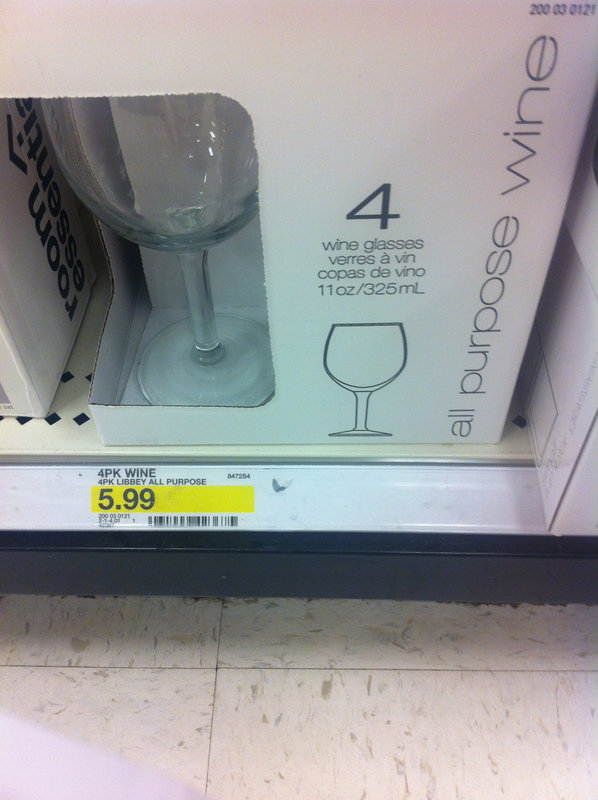 And so I ventured to my local Target to seek out the exact same items and compare prices. The results were pretty surprising to me. Target’s off brand sells it in 4oz bottles for $3.79. Which makes it 28 cents/ounce at Dollar Tree vs. 94 cents/ounce at Target. Savings by buying at Dollar Tree: $2.79. 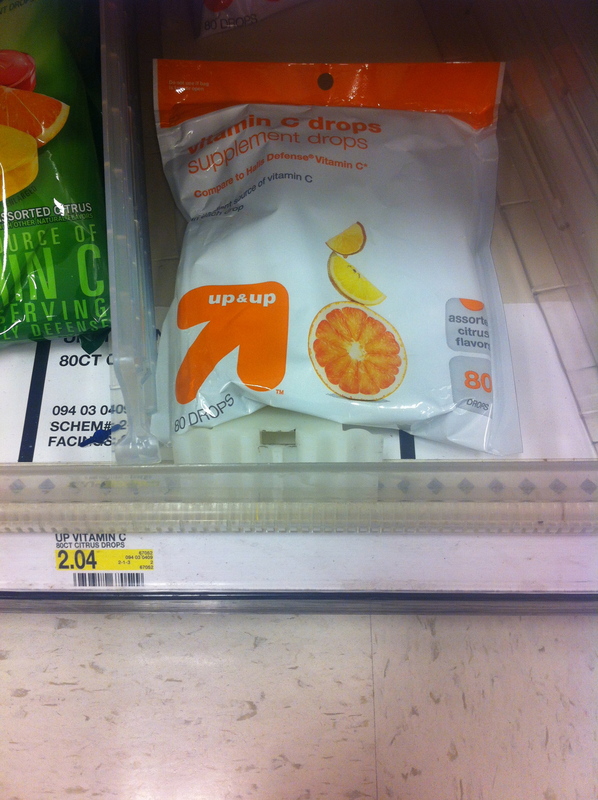 Target’s off brand Vitamin C drops sell for $2.04 for an 80 pack of drops. That ends up being about 2 and a half cents per drop. 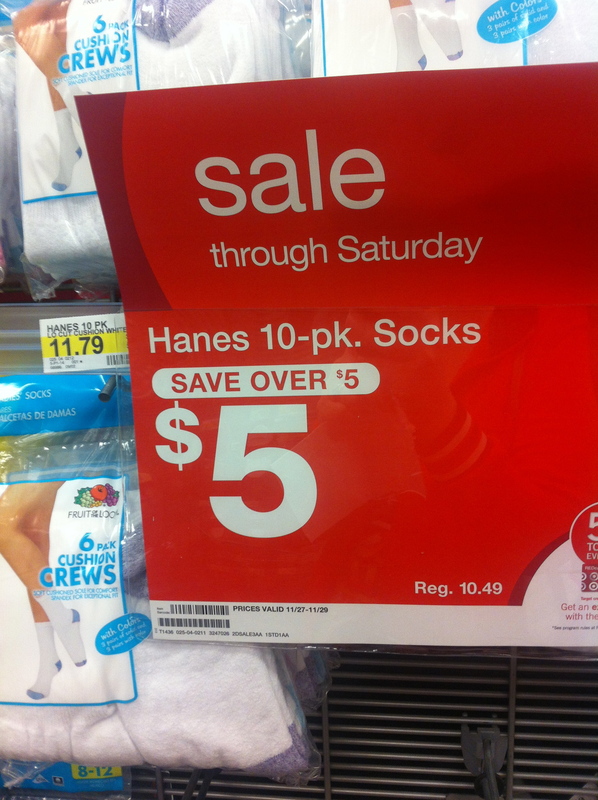 Savings by purchasing at Target: 62 cents, approximately. 1 cent cheaper is still cheaper. 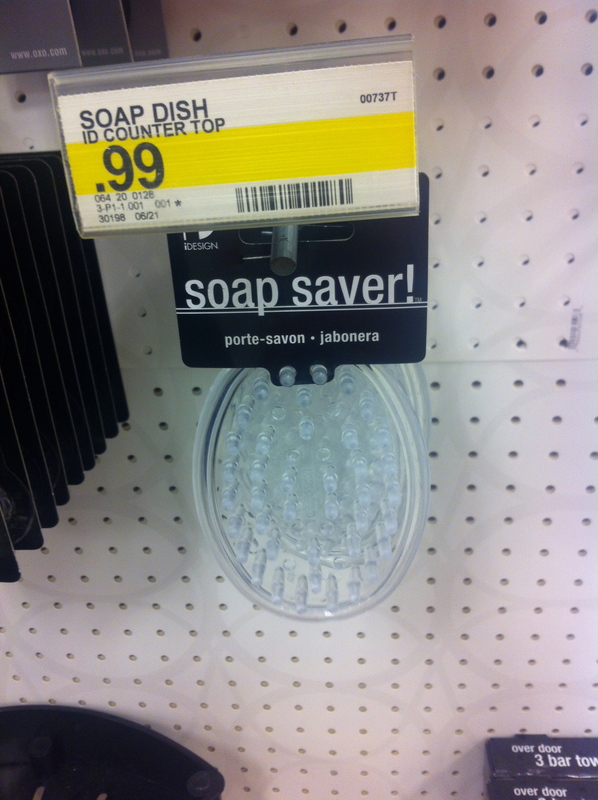 It’s worth noting that it’s the exact same soap saver in different packaging. A fancy schmancy one for $20 more than what I paid for mine. 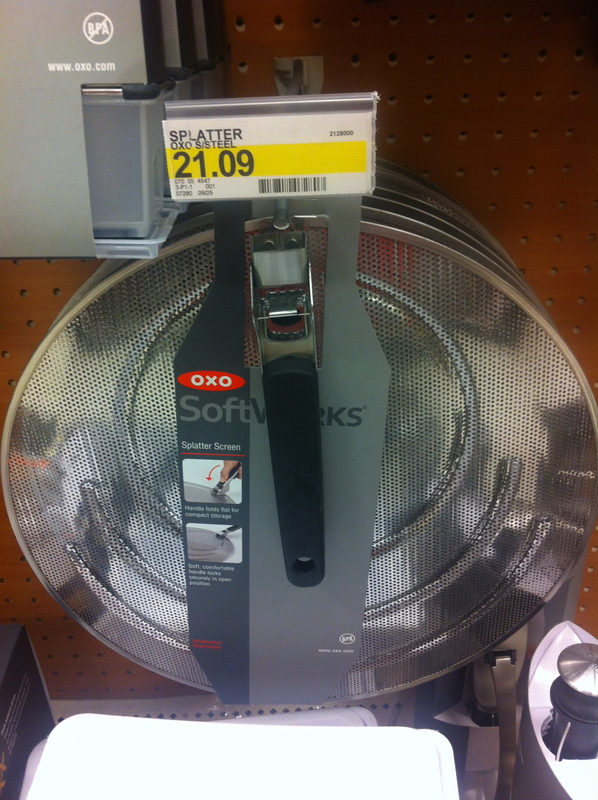 Of course mine is much lesser quality but it will get the job done for my infrequent frying needs. It’s tough to compare, given the huge difference in quality of product, but I say Dollar Tree wins this one for offering a cheap yet effective product at 20x less the price. But they just feel so flimsy, lightweight, and cheaper quality that it just doesn’t seem fair to call it a draw. 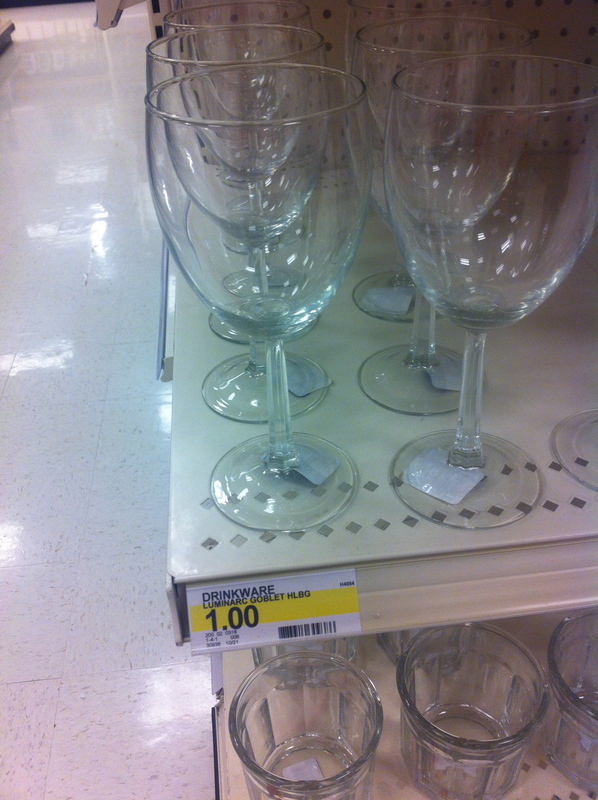 And so I’m giving this one to Dollar Tree for offering a better wine glass at a cheaper price. 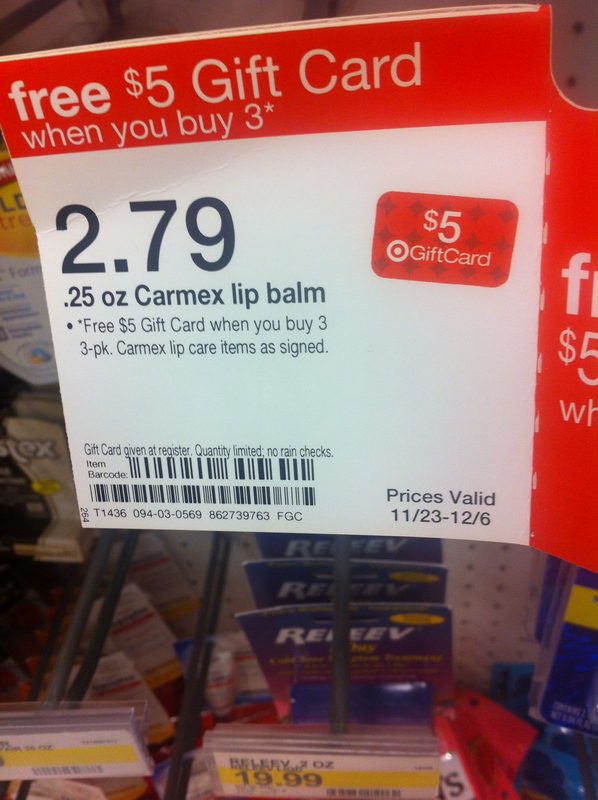 Even ignoring the really great promotion for the gift card, the regular price for a 3 pack of the Carmex lip pots is only $2.79. 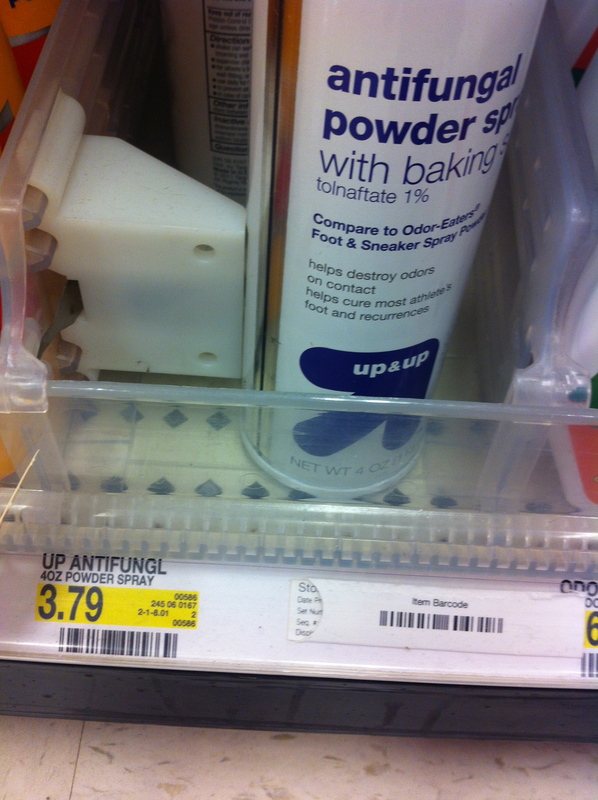 That makes it 93 cents each at Target compared to $1 each at the dollar store. Dollar Tree for the win for this shopping trip comparison! I do think it’s worth noting that the price differences were so minimal that I’m sure utilizing sales and coupons at Target would beat out Dollar Tree prices by a long shot. I was quite surprised by how close Target prices were to dollar store prices. I’m definitely going to be more discerning about my dollar store purchases for the remainder of this challenge. 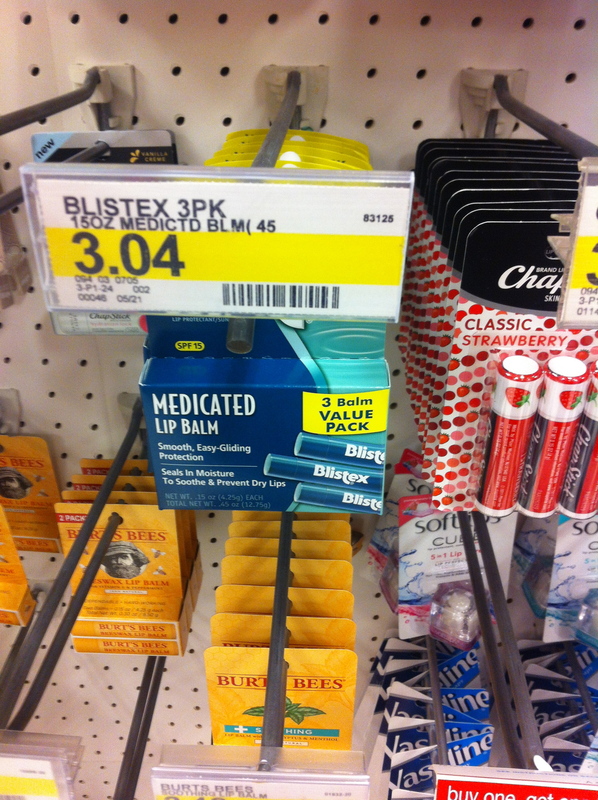 This entry was posted in Money Challenges and tagged blistex, carmex, deal or no deal, dollar store, money challenge, price comparison, target by Kate. Bookmark the permalink.